Mandu is the largest fortified area in India, second only to the great city of Hampi. This romantic city which is also well known for its history is situated about 37 km from Maheshwar. 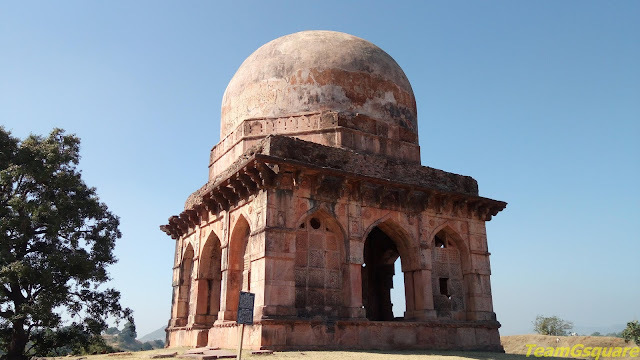 Mandu has also been known by various names previously such as Mandapa-Durga and Mandavagarh. The original fort was built by Paramara kings in 6th century AD. This region attained unparalleled glory, especially under Kings Munja and Raja Bhoj who ruled from both Ujjain and Dhar. 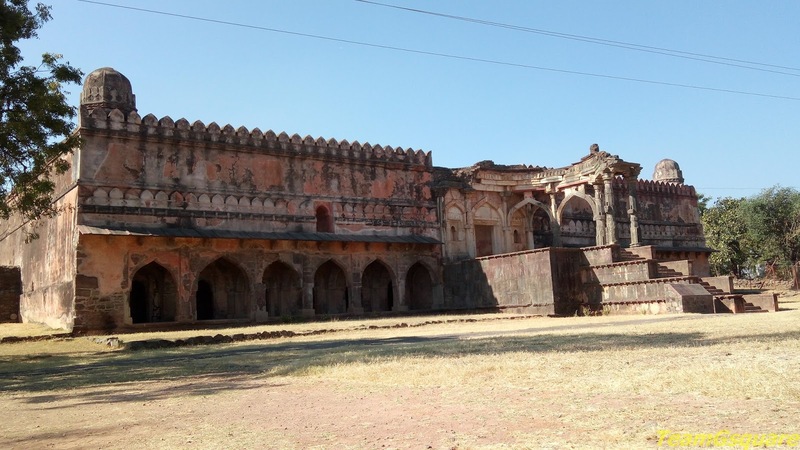 Mandu was founded as a fortress and retreat by Raja Bhoj and later King Jayavaram transferred the seat of the Paramara from Dhar to Mandu, finally falling into the hands of Khilji of Delhi Sultanate. Mandu came on its own later under Hoshang Shah who shifted his capital from Dhar to Mandu and renamed Mandu as Shadiabad - City of Joy. Even amidst his arduous wars with the neighboring powers, Hoshang Shah raised the architectural splendor of the kingdom to its greatest heights. A period of expansion and prosperity was witnessed under the later rulers, Mahmud Shah and Ghiyasuddin, until the end of 14th century AD. 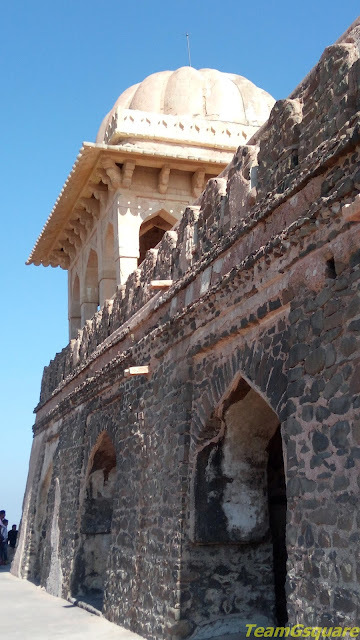 In the next century, Mandu collided with various kingdoms of Gujarat and Rajasthan. A series of deadly warfare followed there after and one such change led to Baz-Bahadur assuming power. Baz-Bahadur almost gave up fighting after being overpowered by Rani Durgavati during one of the wars. He devoted himself to music in which the famous and beautiful Rani Rupmati proved to be his most loving associate and consort. The selfless and devoted love between them even today is a favorite theme in the folk songs of Malwa. Rani Rupmati is said to have committed suicide rather than succumb to the powerful army of Akbar. 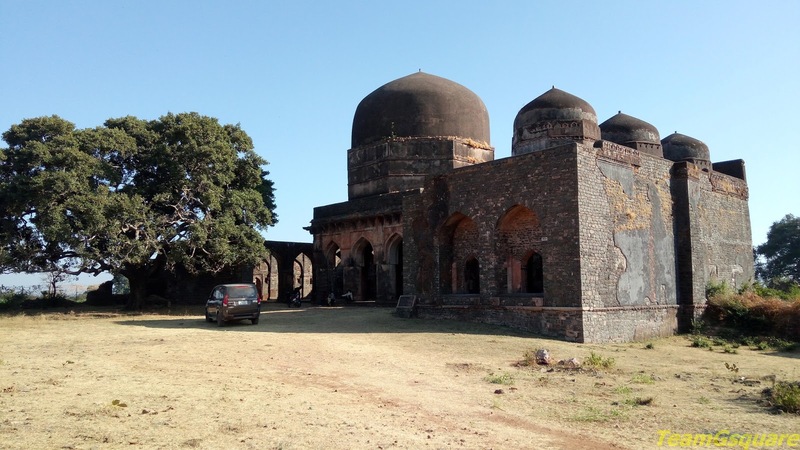 In late 17th century this fort came under the control of Marathas under Malhar Rao Holkar and from then on remained under the Marathas. Rupmati’s Pavilion: Rupmati’s/Roopmati’s pavilion is situated atop the hill to the south of Baz-Bahadur’s palace overlooking the Nimar valley. It is believed that Rani Rupmati, Baz-Bahadur’s beloved enjoyed the view of the much revered river Narmada from this pavilion. The arched pavilion is a Baradari, a building with 12 doors with 3 doorways on every side and is crowned by a fluted dome. 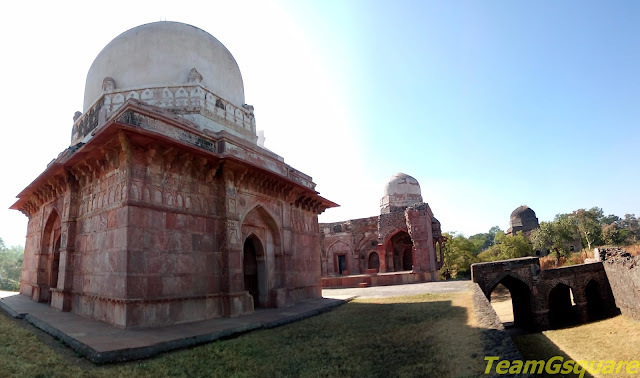 Baz-Bahadur’s Palace: To the east of Rewa Kund is the Baz-Bahadur’s Palace, built on the hill slope. A Persian inscription on its entrance arch states that the palace was built by Nasiruddin in 1508 AD. The palace has a spacious courtyard with a beautiful water tank at its center fed by Rewa Kund. 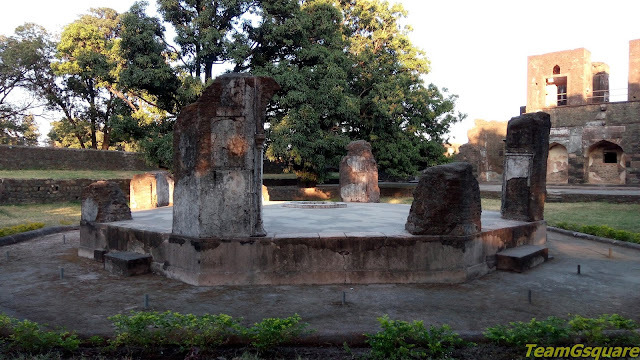 It is quite interesting to know that Rewa Kund situated close by, was frequently visited by Rani Rupmati, which justifies the king’s choice of this place as his palace. 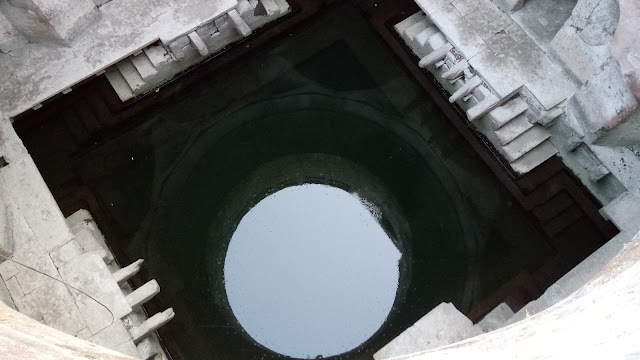 Rewa-Kund: This is a reservoir built by Baz-Bahadur whose origin is associated with the love story of Baz-Bahadur and Rupmati. Jali Mahal: Jali Mahal is a tomb built on a square plan with three arched openings on each side. 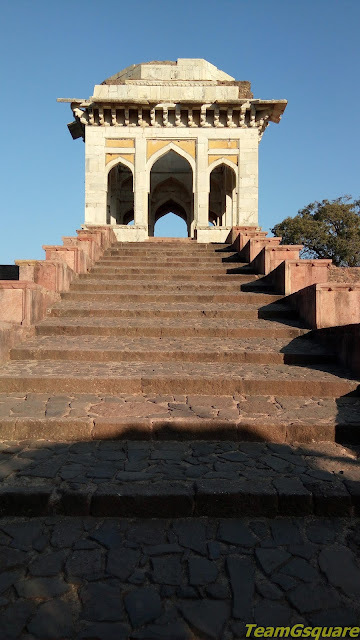 Except for the entrance, the arches on the other three sides are filled with latticed screens carrying various geometric/ornamental patterns giving this tomb the name Jali Mahal. 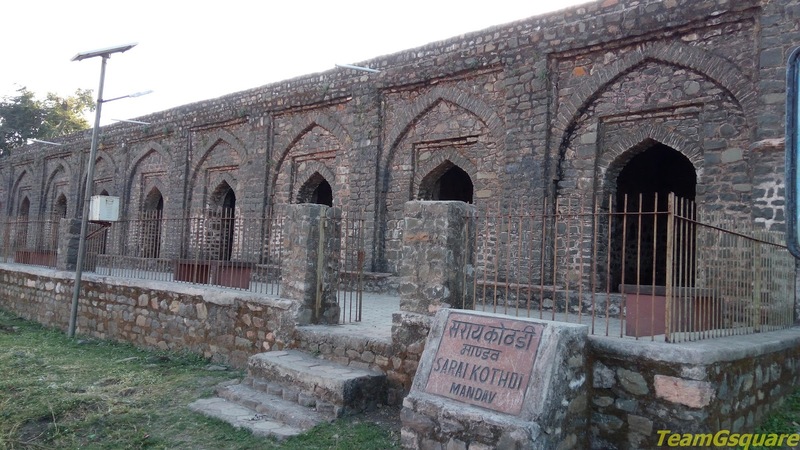 Malik Mugith's/ Malik Mughith's Mosque: This mosque was built by Malik Mugith, father of Mahmud Khilji in 1432 AD. The projecting front porch of the mosque built on a high plinth is now mostly in ruins. The exterior walls are in the form of an arcade at the lower level while colonnades are seen in the corridors inside. 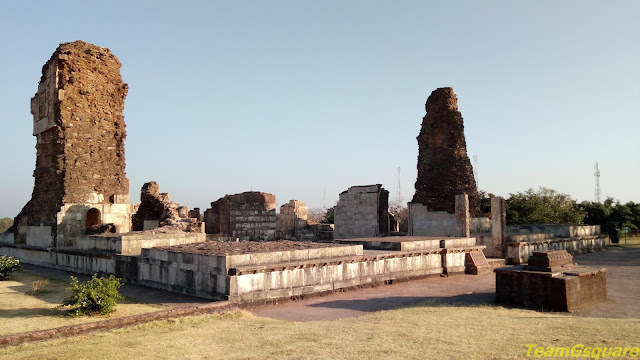 It is clearly evident from the pillars of the corridor that the mosque was built by utilizing materials from destroyed Hindu temples/buildings, which is considered as the first phase of Muslim architecture in Malwa. 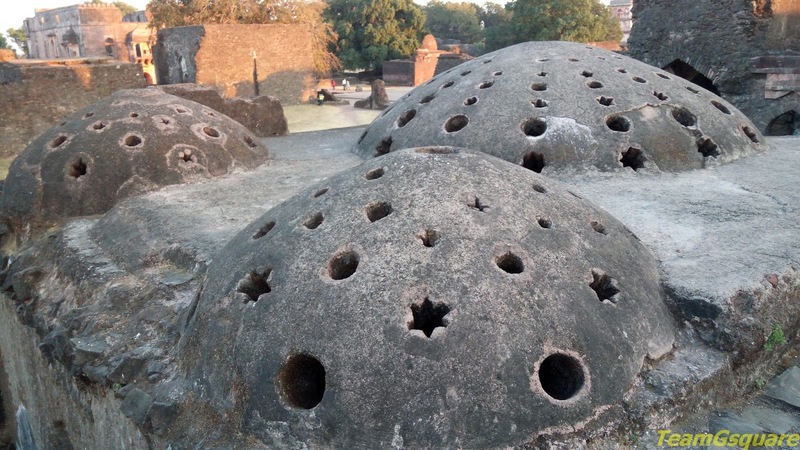 The mosque houses three domes above its main portion with turrets at the corners. During our visit, restoration work was in progress to save the remnants of the structure. Caravan Sarai: Built in 1437 AD, Caravan Sarai comprises of a huge court surrounded by rooms and halls that served as places of accommodation and storage. 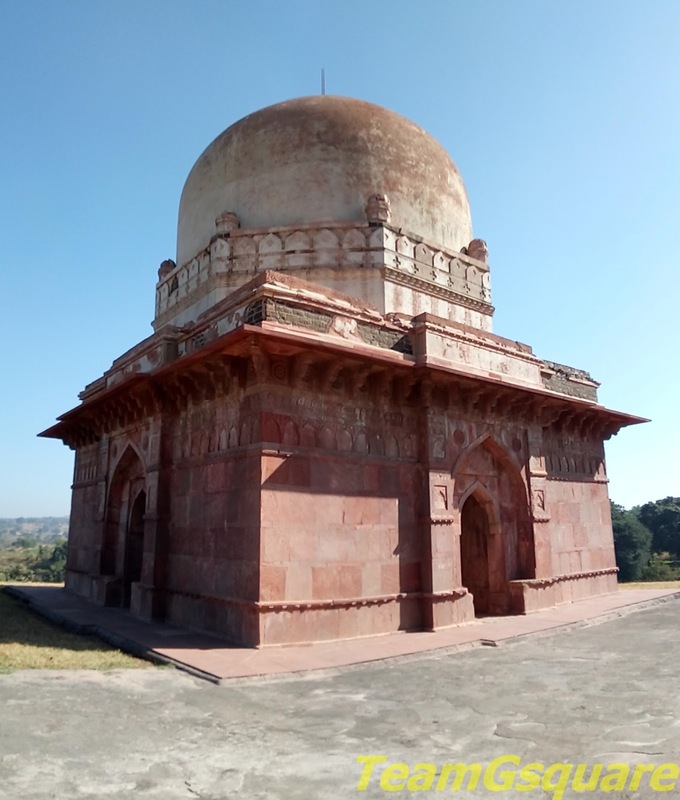 Dai-Ki-Chhoti-Behan-Ka-Mahal: This tomb associated with a lady is built on a highly raised double terraced platform in an octagonal plan with four entrance arches and is crowned by a dome. Remains of blue tiles with which the dome was originally decorated with, is clearly visible. 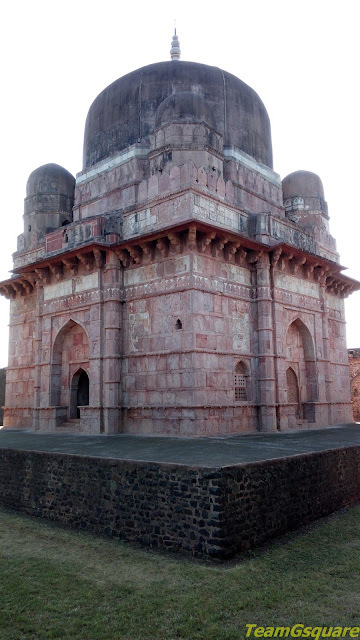 Dai-Ka-Mahal: This is a tomb of a lady and stands on a high platform having rooms with arched openings. The tomb is square in plan. The lower portion of the dome is octagonal in shape and is decorated with miniature arches while small projecting structures are seen at the corners. Lal-Bagh: A beautiful garden and pavilion, with traces of cisterns and cascades laid during the Mughal rule. Hathi Mahal (Elephant Palace): The Hathi Mahal is a mausoleum with its name being attributed to the enormous pillars that resemble the legs of an elephant, supporting the dome above. 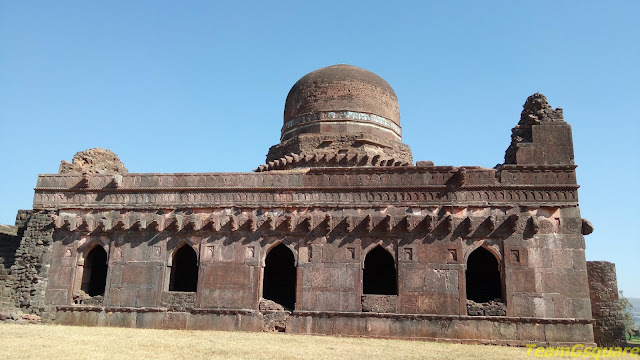 Darya Khan's Main Tomb: The most beautiful structure in Mandu is the tomb dedicated to Darya Khan. This tomb is built of red sand stone in a square plan. There is a Darya Khan Mosque, Sarai Kothari, Kharbush Tomb and Somvati Kund nearby the Main tomb. 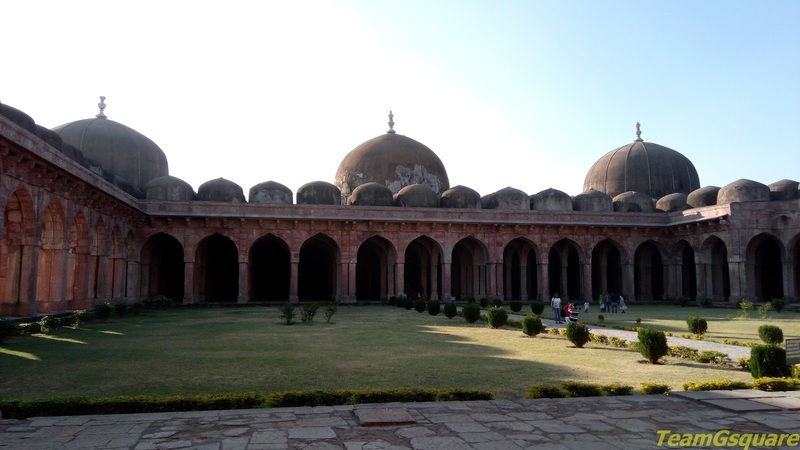 Jami Masjid (Friday Mosque): This is one of the largest structures in Mandu. 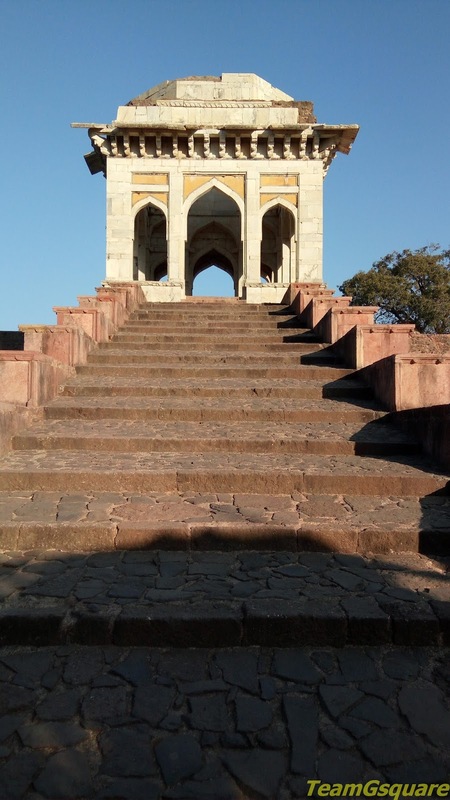 The construction was started by Hoshang Shah and completed by Mahmud Khilji in 1454 AD. Simple in its style, this mosque has a huge prayer hall facing the courtyard. The Mihrab (a niche in the wall of a mosque towards which people face to pray) and Mimbar (a platform used by the preacher in a mosque) in the prayer hall are elaborately designed. A striking feature here is the chain of domes and arches in the enclosing walls of the courtyard. Hoshang Shah's Tomb: This mausoleum built with white marble is India's first marble edifice. 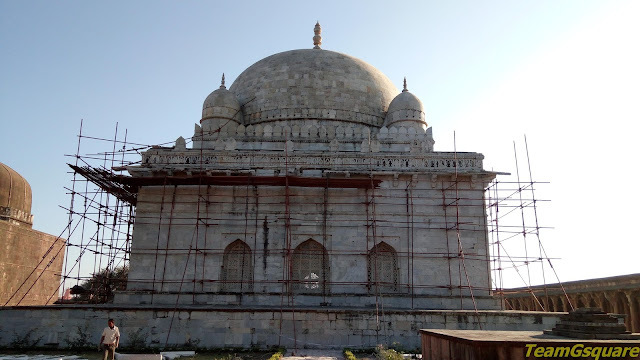 The construction was started by Hoshang Shah and completed by Mahmud Khilji in 1440 AD. The tomb is a massive structure situated at the center of a large courtyard. The tomb is crowned by a huge dome with smaller sized domes at its corners. The noteworthy features in the interiors are the intricately designed lattice screen works and decorative moldings. 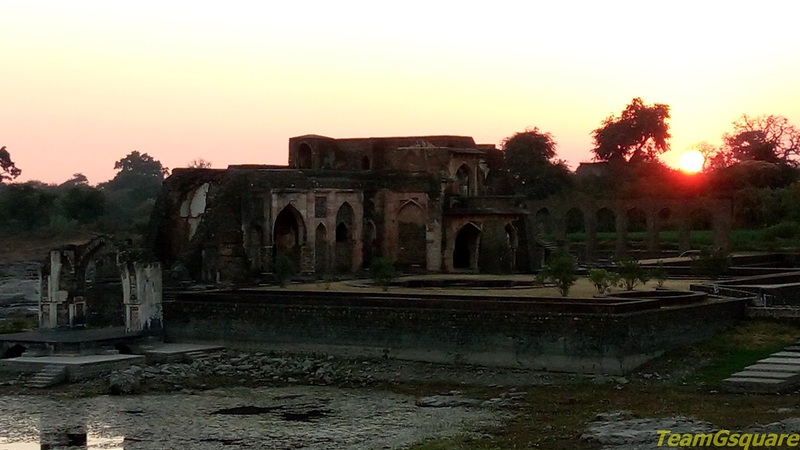 Ashrafi Mahal (Madrassa) and Tower of Victory: Khilji built the Madrassa (school) facing the mosque (Jami Masjid), which is now deserted. It also has the Tower of Victory, originally a seven storeyed tower built in celebration of victory over an enemy which is now in ruins with only one storey having managed to survive.The tomb of Mahmud Khilji is also situated in this complex. 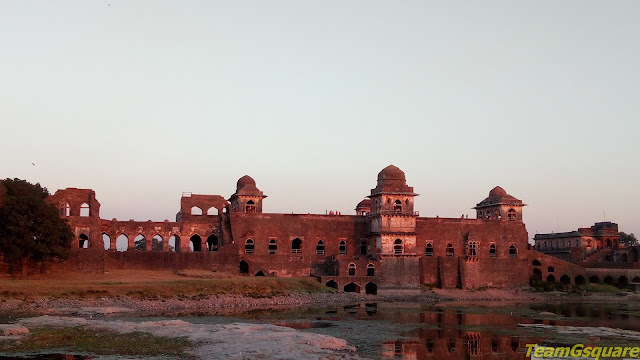 Jahaz Mahal (Ship Palace): This magnificent palace standing between two man-made lakes of Munj and Kapur is beautifully designed. The palace resembles a ship floating on water and hence the name. The interconnected water-ways/channels from the lake to the water ponds of the Mahal and its garden is fascinating. Kolhu (Crusher): Kolhu was a very popular traditional device used for crushing solid materials into smaller pieces, usually manually or animal driven. Different materials such as lime stone, jaggery, and other building materials were mixed together and crushed/ground to form a uniform powder which was then used for construction purpose. Gadashah's Palace and Shop: These buildings probably were built for a person named Gadashah who played a significant role in the royal family. Both the buildings are sadly now in ruins. 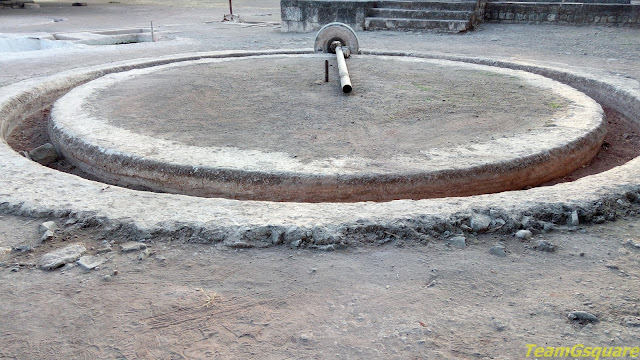 Ancient Baoli: A beautiful well belonging to the Paramara period. Hindola Mahal (Swinging Palace): This mahal is 'T' shaped in plan and has sloping side walls by virtue of which it is also known as the Swinging Palace and served as an audience hall. The exteriors are mostly plain with two-storeyed arches placed between huge pillars that slope inward. The overhanging balconies are enclosed (jharokhas) and carry on them floral carvings and lattice designs. 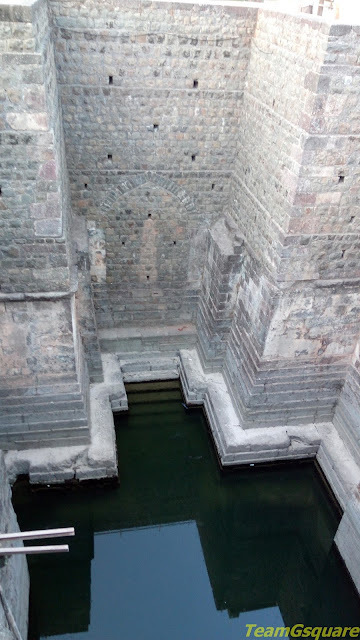 Champa Baoli and Royal Palace: This is an underground well that served as a reservoir. Square in shape, it is surrounding by eight arches that giving it a circular appearance. This place was used by the royal ladies as a summer retreat. The Royal palace is very big building where the royal family resided. Hammam (The Bath): The Hammam houses separate waterways for supply of hot and cold water. The queens enjoyed a luxurious bath here. The ceiling of the hammam is dome like, having circular and star shaped perforations for light to pass through and hot steam to pass out. The techniques used for water flow system into the Hammam are quite intriguing. Jal Mahal (Water Palace): This beautiful palace is built on the banks of lake Munj, on the opposite side of Jahaz Mahal. It is an interesting structure with water channels running across the mahal to feed the water ponds and gardens. The view of Jahaz Mahal from Jal Mahal is astonishing. 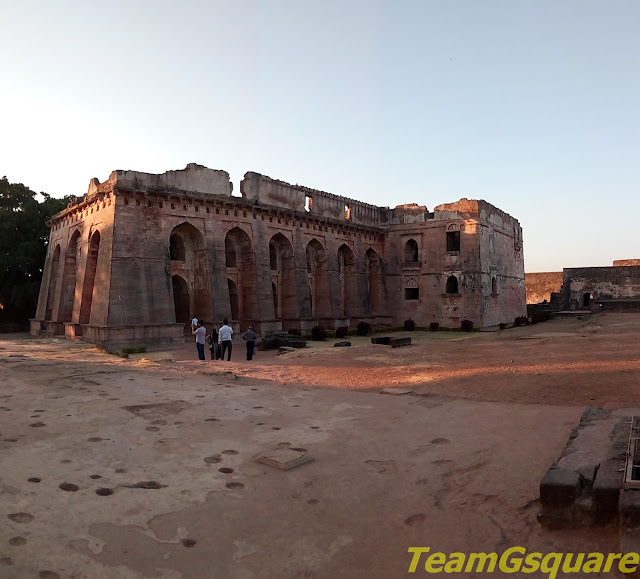 Darwazas (Gateways): The 40 km long fort wall that encircles the city of Mandu houses 12 Darwazas or Gateways, notable ones being the Tarapur Gate, Jahangirpur Gate, Rampol Darwaza, Delhi Darwaza, Alamgir Darwaza and Bhangi Darwaza. 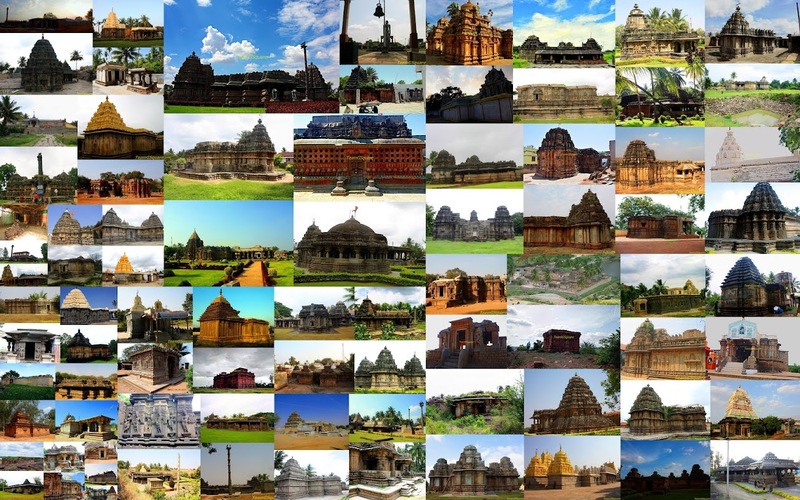 Other Places of Interest: Sapth Kothari, Lohani Caves and Gate, Taveli Mahal, Dilawar Khan's Tomb, Nilkanth Palace and Temple, Chhappan Mahal, Lal Mahal, Kakra Khoh, Ram Mandir, Jain Mandir and many more. Entrance Fee: A fixed entrance fee is charged to visit the Royal Enclave, Jami Masjid and Rupmati's Mahal. Rs 15/- for Indian Tourists and Rs 200/- for Foreigners, an additional fee is charged for video shooting. Accommodation: We didn't stay here, but there are many options for accommodation here. The better ones are the Malwa Resort and Malwa Retreat, both maintained by MPSTDC. Where to eat: We had lunch in Malwa Retreat, a multi cuisine restaurant and our lunch bill was around Rs.700/-. Food was good and tasty. Card payments are accepted. 2. RBS Visitors Guide India-"Madhya Pradesh"
You have taken them to the height of heaven, well photographed. Beautiful shots of the fort. There is lot to see here. Beautiful landscapes and historical buildings. The ceiling of the bath looks very innovative. It must be lovely to see moonlight filter through those circles and stars. Nice coverage of Mandu and its monuments. Very detailed post. Enjoyed reading. Thanks for sharing, Mandu is high on my agenda.